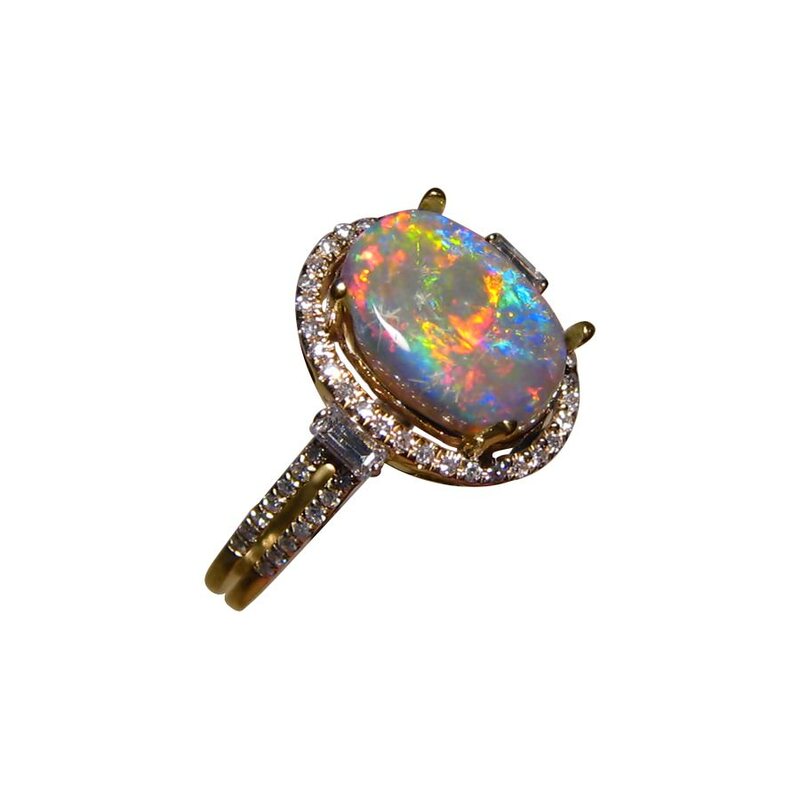 A quality Black Opal ring accented with 2 mm bright white diamonds and set in 14k Gold that is ideal as an engagement ring. A gorgeous Opal ring in an elegant style suitable as an engagement ring. The oval Lightning Ridge Black Opal is 1.8 carats in weight and is accented with stunning 2 mm diamonds which add size and sparkle to the ring. Shown in 14k White Gold, the Black Opal shows a mix of colors including Red and the video will show how these flash with movement. This beautiful ring is ready to ship as detailed below or will take about 14-21 days for any other ring sizes or change of Gold color. As the Black Opal is not yet secure, it can be mounted into a different ring or pendant setting more suited to your taste. Contact through this product page to discuss options.